If America is Budweiser, then Puerto Rico is Bud Light Lime; the lighter, maybe I’ll have one-too-many, Caribbean step-sister of the USA. It’s affordable, relatively speaking, offers a wide array of cultural oddities and a plethora of tropical treats that make a box of Mike & Ike’s look like kid’s play. And so with that said, allow me to explain why Puerto Rico should be your next ‘adventurous vacation’ destination. Let’s start by talking about the price… because that’s the first thing everyone asks: isn’t it expensive? Again, relative. We were in Seattle when we decided to spend a few weeks exploring our Spanish infused cousins to the south. A friend had suggested it as an alternate destination to the two weeks we were planning to spend traversing the West Coast – surfing, sleeping in church parking lots and drinking plenty of IPAs. So I looked into tickets. Seattle to San Juan, round-trip, for two people? $600 out the door. I kid you not. I moved the dates around a few weeks on either end, and it stayed roughly the same. I also looked at flights out of Phoenix and Los Angeles, two airports we frequently fly out of. Price? The same. Largest sum I saw was $800, again, round-trip for two people. And so we booked a flight, albeit a Red Eye out of Seattle with a nonsensical layover in Chicago, but you know, when the price is right. Next step was to find a place to stay. Airbnb is ideal. Hotels, especially in Old San Juan are insanely priced – something like $200 per night - however a small flat with an outdoor kitchen and a massive rooftop deck rents for under $100 a night on your landlord’s favorite app. We looked into staying an entire month as we had little to no obligations in the States until mid-May (this was the end of March, and we had just finished a cross-country motorcycle ride, which you can read about here). But an email a few days before we were ready to pull the proverbial trigger forced us to cut our stay a little short, er, in half. However, the price difference between two weeks and an entire month, assuming you find an Airbnb’er willing to give you a long-stay discount, was nominal at best. Oh well. Next time. 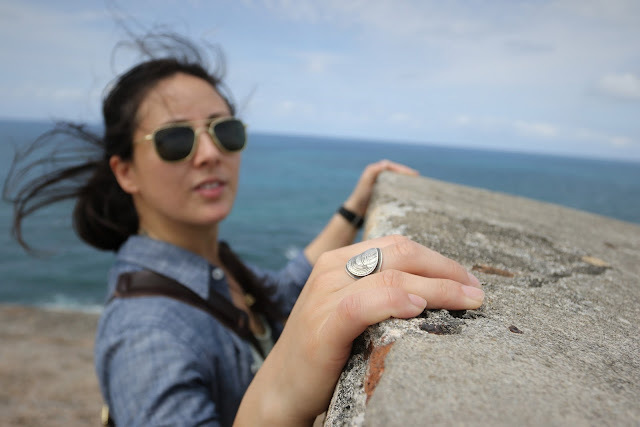 We settled on twelve nights for roughly $1,000 in the aforementioned epic rooftop apartment in the heart of Old San Juan. One of the big draws for us, especially in Old San Juan, was the architecture. Something like New Orleans meets Key West meets DTLA. The cruise ships drop overweight mid-westerners in the middle of the old city and allot them a handful of hours to roam-about so they can buy tchotchkes and NOT dine at the restaurants because, and I quote, “I’d like to eat there, but they’ve got free food on the boat.” Really?! Anyhow, the city itself, established by Juan Ponce de León in 1508 and henceforth occupied by the Spanish, Dutch, English and, perhaps soon, Americans is rich in culture in a way only a 500-year-old city can be. I’ll let you learn more about OSJ on the internet because I’m not here to talk about the past but instead to give you options for your future. Upon our arrival, we caught a cab from the airport to OSJ ($20), contacted the gal who was renting us her apartment, unloaded our stuff and settled in. I’ll let the photos of this place speak for themselves. Let’s just say, we were stoked. That evening I received a phone call from a friend who lives in San Juan, about twenty minutes inland from where we were. 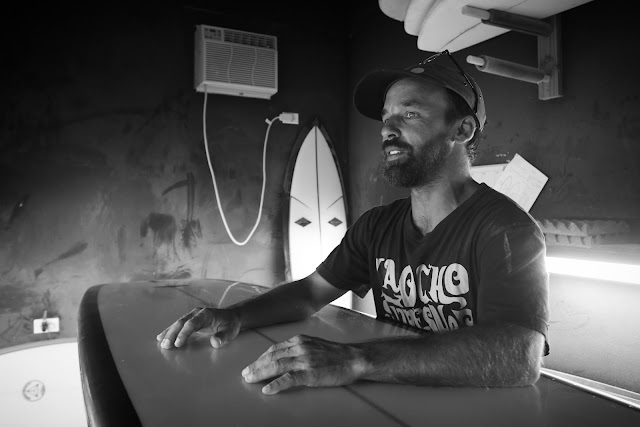 He is a surfboard shaper by the name of Ricky Muniz. Born and raised in PR, Ricky hails from a more traditional sector of the surfing industry shaping mid-length single fins, traditional logs and my favorite, a 9’3 pig with a flo-thru skeg. 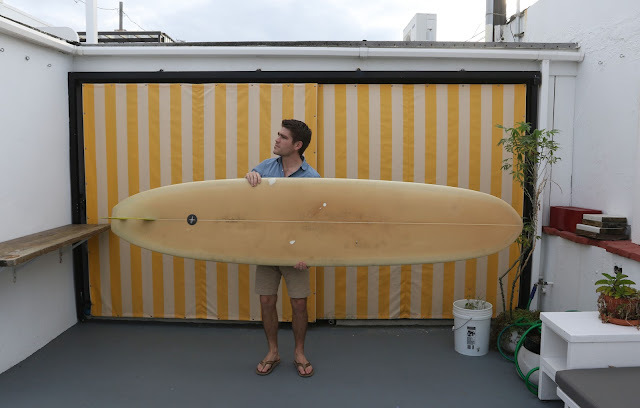 He shapes and glasses all of his boards in a workshop he and his brother built in their backyard. Self-taught, Ricky is now climbing the surfing food stick, shaping and glassing in the States on occasion, creating beautiful one-of-a-kind boards for people who prefer the craft to the pop-out. But I digress. Ricky, on the phone, suggested we surf the next morning at a spot called La Ocho (there’s a wonderful surf shop walking distance from said spot – La 8 Surf Shop – which will rent you boards and sell you wax, FYI). La Ocho is conveniently located right there in San Juan proper, some five minutes down the road from our flat. Ricky suggested a time far too early in the morning, then showed up an hour late. When we pulled into the parking lot Ricky turned back to me and said, “Do you like to surf big waves?” To which I replied, “No!” and then hastily pulled on a pair of trunks and paddled out, on a 9’4 Pintail, charging toward set waves that were well over ten feet on the face and reeling off a massive rock that sat maybe a quarter-mile off the coast. It was a wonderful day. I caught maybe five waves, each more massive than the next, until my weak little white arms couldn’t bring me back to the lineup. I learned a few lessons, ones I would like to pass along to you. Firstly, when the Puerto Ricans say it’s “big,” that means it is really goddamn big. Also, when the swell starts to dip and you wait it out a little too long, there won’t be waves. So go when it’s good. …When it’s big. And then try not to die. Rental car: that was our next move. For something like $15 per day we snagged a sweet little Toyota Yaris, with four doors and all the MPG you could want. 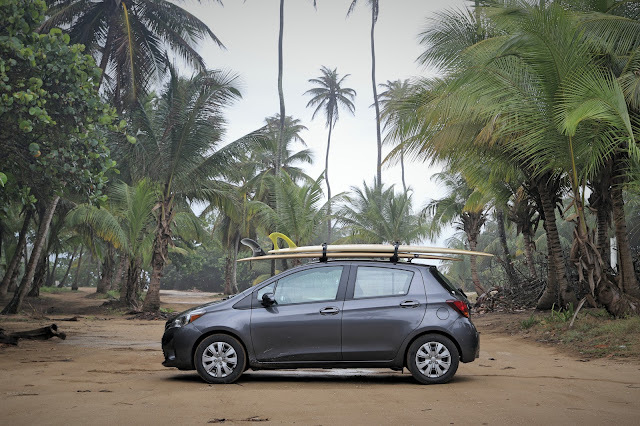 We borrowed a set of soft-pads for the roof, strapped a pair of Ricky Muniz surfboards atop our little silver sled and headed west toward the town of Rincon, the unofficial surfing capitol of Puerto Rico. A friend-of-a-friend had a house we could stay in, but for you, future PR prospector and adventure seeking explorer, I’d recommend that Airbnb deal we talked about earlier. Because Rincon is like a jungle oasis for surfers seeking both warm waters and oversized waves. Perfect really, if you ride something under nine-feet (not me, but I can see the appeal). 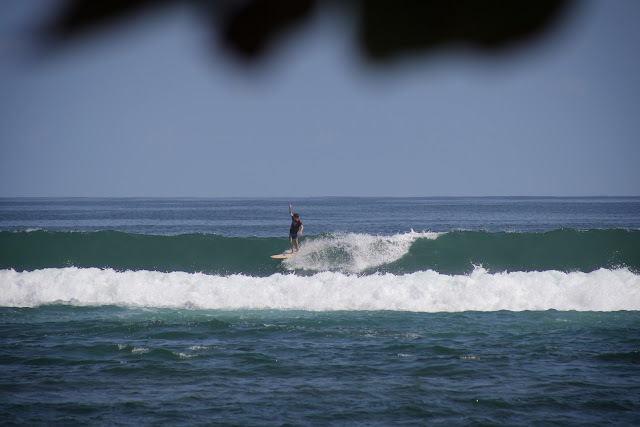 I won’t go into details about our surfing excursions, however I will say that you should seek out spots like Maria’s, Domes, and while you’re on your way there, Wilderness, Surfer’s Beach and Jobos, which is furthest to the east and the most new-surfer friendly of the bunch. The town itself is small, but vibrant. Music festivals are a constant feature, as are late night margarita mumblings… No, wait, that was just my experience. 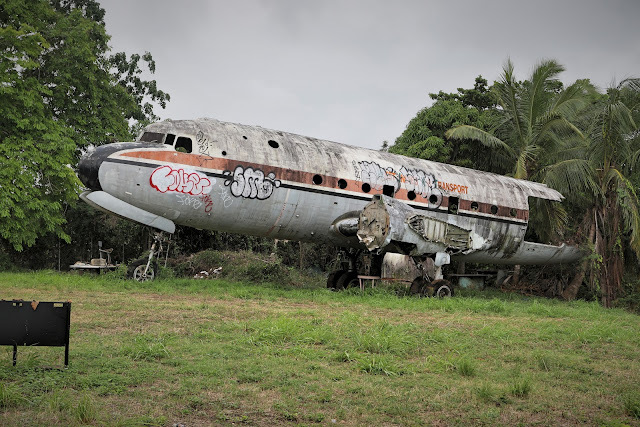 Aside from the surf, Rincon and the surrounding areas – Isabela, Aguacate, and Aguadilla – are full of out-of-water adventures, to include the most incredible Cubano sandwich you’ll ever have (Panderia Los Cocos near San Jose), as well as some stylish lighthouses you should stop to see (Punta Higuera and El Faro). Aside from that, I’d suggest pulling out the ol’ flip-flops, slipping on some shorts, pouring back a few pints at the Rincon Beer Company or some Passion Fruit Margaritas at La Cambija, and forgetting about whatever it is you need to forget about. Our return to OSJ a few days later left us lusting for more - more surf, more dirt roads, more of this Caribbean sub-culture; a mix of old-world Spain and modern America, where you can call home, spend dollars and yet escape the doldrums of a life spent Stateside. 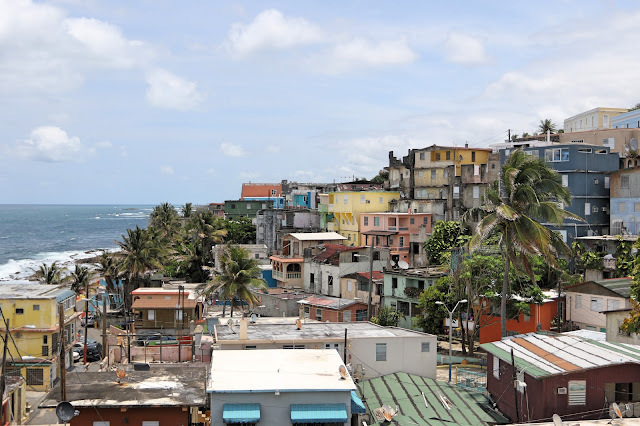 We dropped off our boards at Ricky’s house, returned our rental car and settled into Old San Juan, another place I suggest you spend some time and, unlike our Cruise Ship Bargain Shopper, some money. 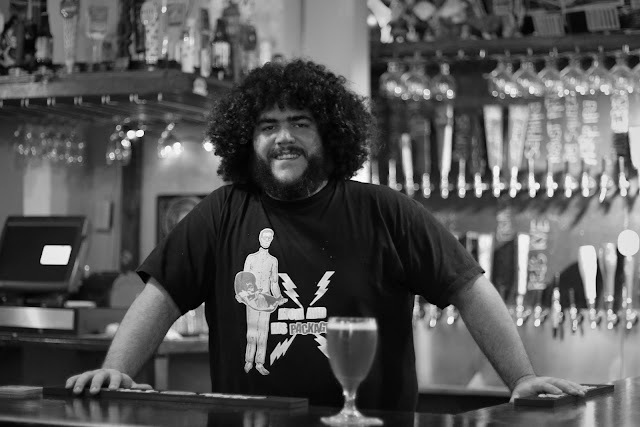 Because mofongo at Aji Dulce, craft beers poured by the other Riki at La Taberna Lupulo or coconut popsicles at Senor Paleta are worth every penny. The city is alive at all hours. But not annoying. During the week, when the Princess of Pearls is not in port, OSJ is a place filled with people trying to live a simple life. You drink coffee in the Plaza de Armas, watch the pigeon man feed his pigeons, walk along the ancient walls that line the city, and ogle the Spanish Colonial architecture that dragged us here in the first place. I can’t say that twelve days was enough time. And honestly, I feel like this ‘Guide to Puerto Rico’ is missing a few things. But my goal was not to sell you on the spectacle – or the sign-me-up style adventures that are available to anyone on those behemoth boats we’ve talked so much about. No, instead I was hoping to inspire you to step outside of your comfort zone, to skip the annual excursion to Maui and instead spend a few weeks in a place that really wants you to be there. A place that housed pirates and explorers, poets and drunk authors (H.S.T.). And a place that you can’t “do” in ten days. This story originally appeared on the Indefinitely Wild section of Outside Magazine.